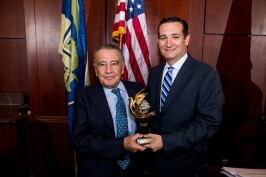 Eduardo Eurnekian and Ted Cruz. On 9 July 2014, Swedish-born diplomat Raoul Wallenberg was posthumously awarded the Congressional Gold Medal during a ceremony in the U.S. Congress. 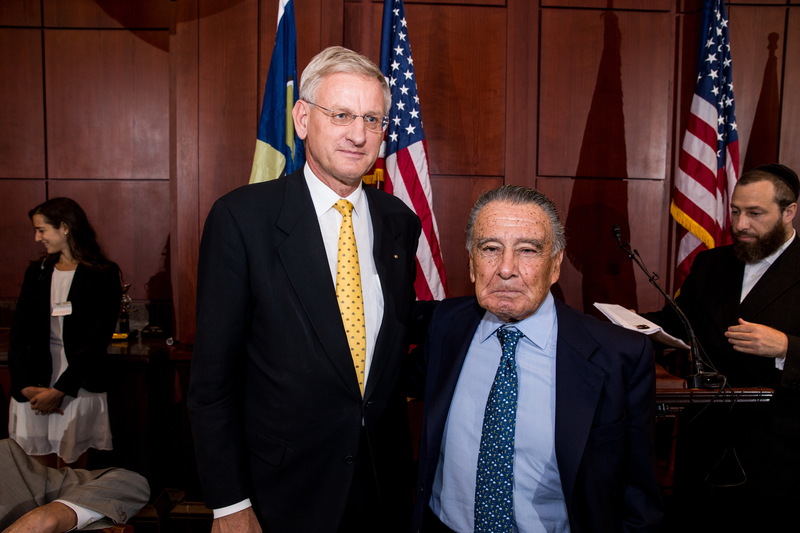 Eduardo Eurnekian and Carl Bildt. 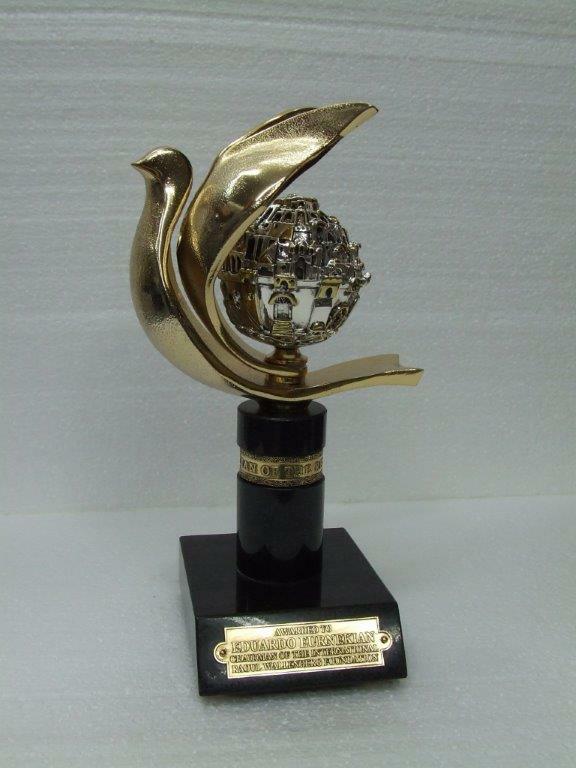 The International Raoul Wallenberg Foundation, created by Baruch Tenembaum, was the driving force behind the initiative to present the prestigious award to the Swedish hero. The project was launched back in 2011 and the Board of the IRWF resolved not to disclose the Foundation’s involvement in order to focus purely on Raoul Wallenberg. 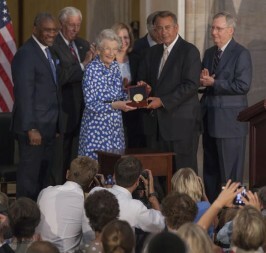 The project was launched under the auspices of Senators Kirsten Gillibrand (D-NY), Mark Kirk (R-IL), Carl Levin (D-MI), and Mike Johanns (R-NE) and Congressman Gregory Meeks (D-NY) announced that they introduced companion bills today to bestow the Congressional Gold Medal on Raoul Wallenberg, a hero who saved thousands of lives during Nazi occupation of Hungary during World War II. Nina Lagergren receives the Medal. Prior to the ceremony, a luncheon was held to honor Eduardo Eurnekian, the Chairman of the International Raoul Wallenberg Foundation, and Baruch Tenembaum. The IRWF’s mission is to preserve and spread awareness regarding the legacy of Raoul Wallenberg through research, commemoration activities and educational programs. 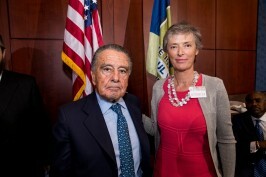 Eduardo Eurnekian and Marie Dupuy. 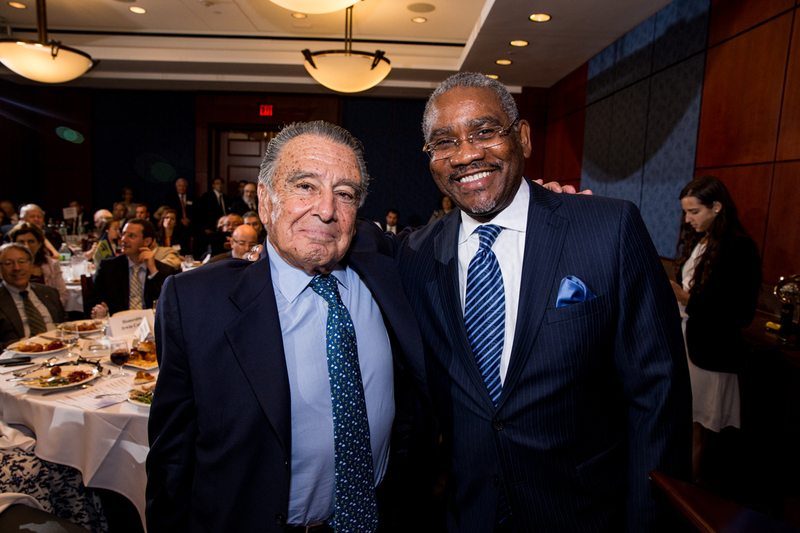 During the luncheon the following speakers addressed the audience: Senators Kristen Gillibrand, Ted Cruz, Ben Cardin, Carl Levin, Lindsey Graham, Al Franken, Mark Kirk and Johnny Isakson. Representatives Gregg Harper, Doug Lamborn, Erik Paulsen, Chris Van Hollen, Paul Gosar, Jim McDermott, Gregory Meeks, Brad Schneider, Steve Cohen, Randy Hultgren, Bob Goodlatte, Robert Pittenger, Steve Stockman, Jim McGovern and Dana Rohrabacher. Among the speakers were Irwin Cotler, Member of the Canadian Parliament; Georgy Szapary, Ambassador of Hungary; Mark F. Brzezinksi, US Ambassador to Sweden; Per Westerberg, Speaker of the Swedish Parliament; Carl Bildt, Swedish Minister for Foreign Affairs; Rosie Rios, US Treasurer and Marie Dupuy, niece of Raoul Wallenberg. 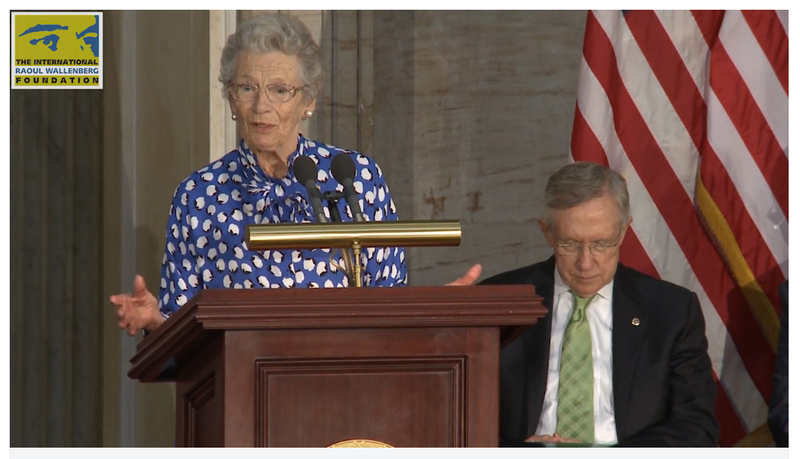 Nina Lagergren, sister of Wallenberg, was the guest of honor. 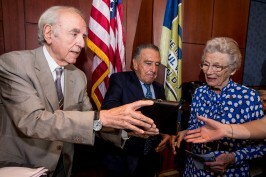 Baruj Tenembaum, Eduardo Eurnekian and Nina Lagergren. Nina Lagergren received from Baruch Tenembaum and Eduardo Eurnekian a silver medal specially coined by renowned silversmith Carlos Pallarols. Eduardo Eurnekian pointed out: “We hope that this well-merited recognition by the US Congress will raise the awareness to Wallenberg’s legacy and personal fate, and will serve as a catalyst to resolve the mystery of his disappearance in the hands of the Soviets”. 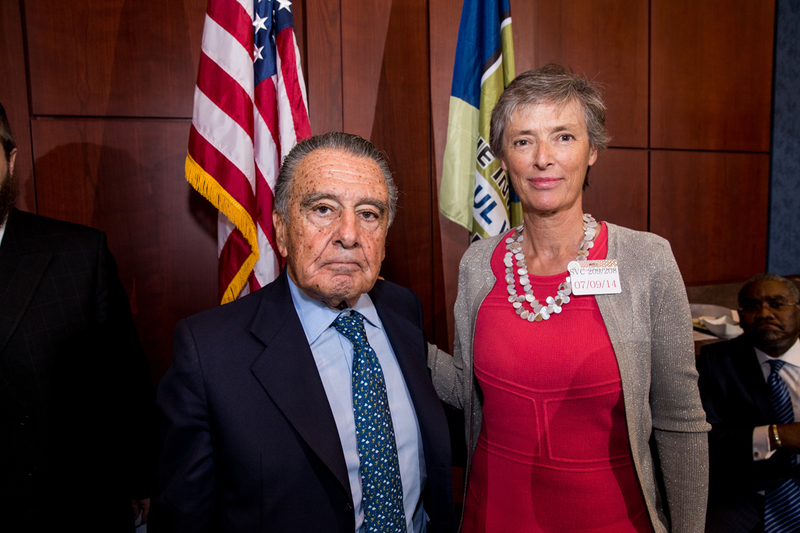 Eduardo Eurnekian and Nina Lagergren. Raoul Wallenberg was born on 4 August 1912. 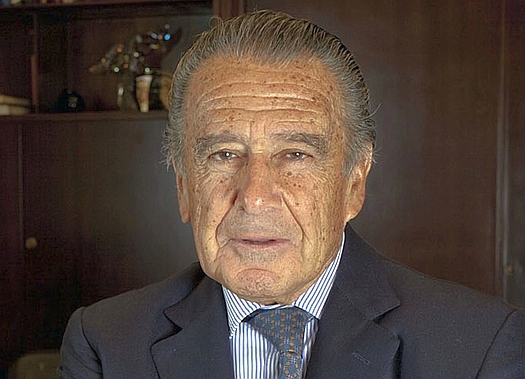 After graduating from the University of Michigan, he pursued a career as a businessman in Sweden, and later became a Swedish diplomat. 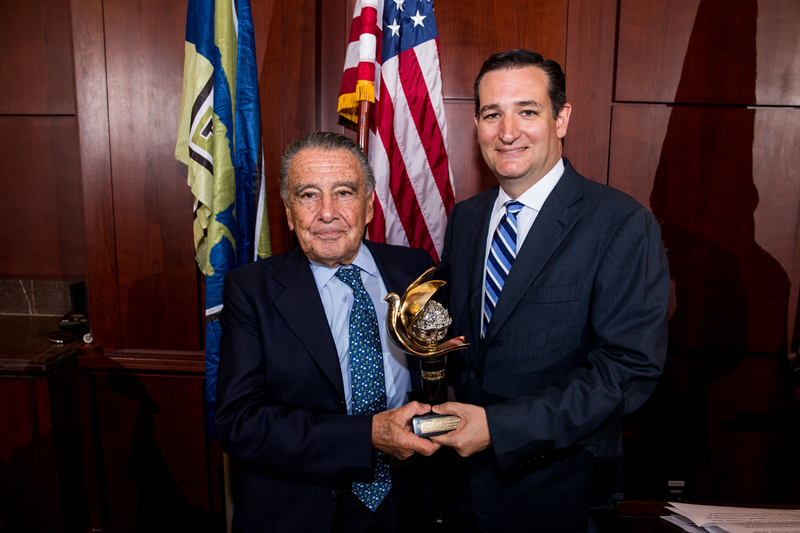 Working with the War Refugee Board, he helped save tens of thousands of Hungarian Jews during the Holocaust. 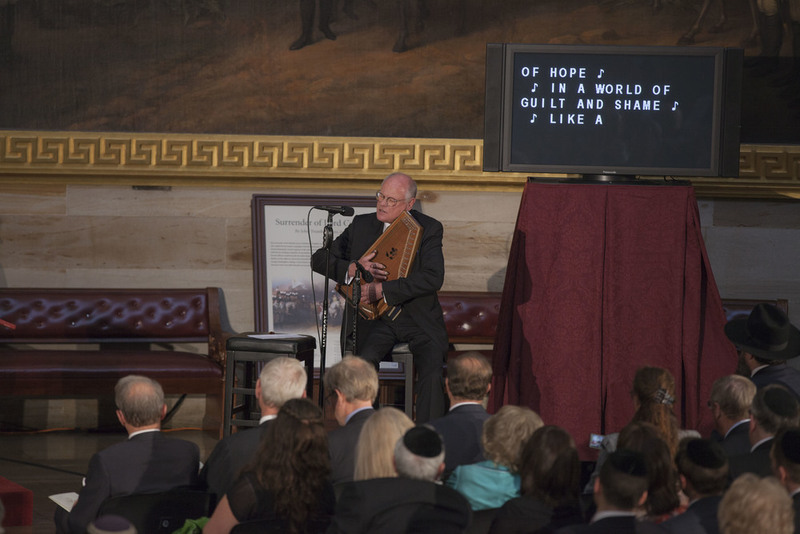 “The US Congress pays tribute to the IRWF and its Chairman Eduardo Eurnekian, acknowledging the NGO’s unique contribution to the enhancement of the legacy of Raoul Wallenberg and the role it has played in the posthumous bestowal of the Congressional Gold Medal to Raoul Wallenberg”said Baruch Tenenbaum, founder of the NGO and present at the ceremony. Eduardo Eurnekian and Gregory Meeks. 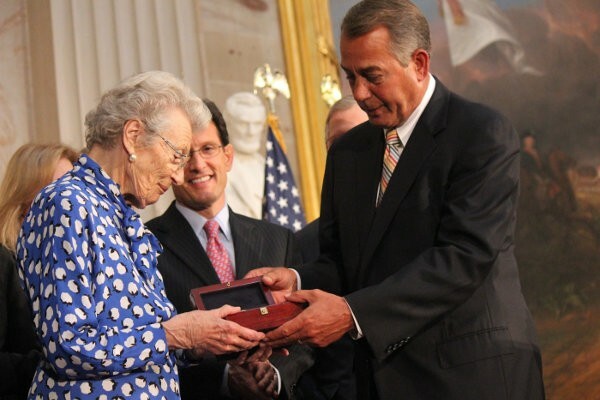 The medal was presented to Nina Lagergren, sister of Raoul Wallenberg, by John Boehner, Speaker of the United States House of Representatives; Harry Reid, Majority Leader of the Senate; Mitch McConnell, Republican Leader of the Senate; Eric Cantor, Majority Leader of the House of Representatives and Nancy Pelosi, Leader of the House of Representatives. During the ceremony, the Raoul Wallenberg Foundation and its Chairman, Eduardo Eurnekian, received public recognition by Congressman and Senators for his relentless efforts in promoting the deeds of Wallenberg as well as of other thousands of Holocaust Saviors. Ben Olander, renowned Swedish singer and composer as well as Vice-President of the Wallenberg Foundation, played “Our gleam of Hope” a song dedicated to the Hero without a Grave. In 1981 President Ronald Reagan made Wallenberg an Honorary Citizen of the United States. 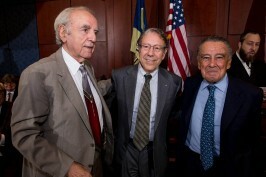 Baruj Tenembaum, Irwin Cotler and Eduardo Eurnekian. 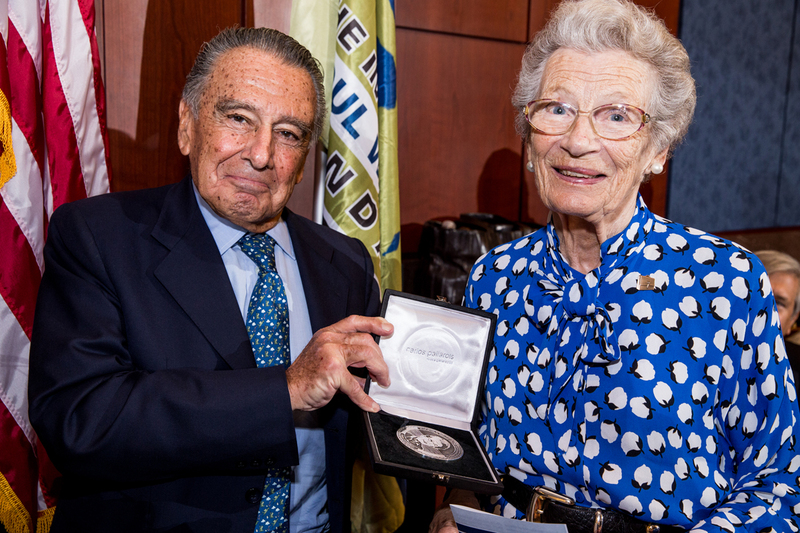 The medal was designed and prepared by the United States Mint in recognition of Wallenberg’s achievements and heroic actions during the Holocaust. The medal’s obverse (heads side) design, by United States Mint Sculptor-Engraver Don Everhart, features a close-up portrait of Wallenberg with the inscriptions RAOUL WALLENBERG, ACT OF CONGRESS 2012, and HERO OF HEROES. The medal’s reverse (tails side) design is by United States Mint Sculptor-Engraver Phebe Hemphill. The design depicts Wallenberg’s view as he extends a Schutz-pass and a background view of those he could not reach being boarded on a train bound for a concentration camp. Inscriptions are HE LIVES ON FOREVER THROUGH THOSE HE SAVED around the upper border and ONE PERSON CAN MAKE A DIFFERENCE beneath the Schutz-pass.